On July 6, Nintendo/Niantic released the “augmented reality” game, Pokemon Go. In this new instalment of the franchise, players are required to move around the world, the real world, in order to capture monsters digitally super-imposed onto the landscape around them and observed/detected/captured with their smartphone. While an interesting idea, I was a little cynical when I first read up on this mechanism of the game. Why cynical? Well it seems to me that Nintendo has been trying to incorporate physical activity into gaming since the release of the Wii in 2006 (although in a broader sense they have been trying to get gamers out of the house more since the release of the Game Boy back in the 80s). While I appreciate this good intent, I remember that on the handful on occasions I played Wii, after the initial novelty had worn off, I kinda just wanted to play sprawled out on a couch in a dark room with the blinds drawn and wearing dirty track pants, like nature and God had intended. But this is different. The memes tell the tale. People are literally being mobilized to go out into the world in a way that video games have not been able to (nor sought to) make them thus far. Why is this incredible? Well, Nintendo, or more specifically Niantic has figured out a way to not only get people to move around in the world, but has theoretically also found a way to get mass groups of people to all congregate in certain places at certain times. 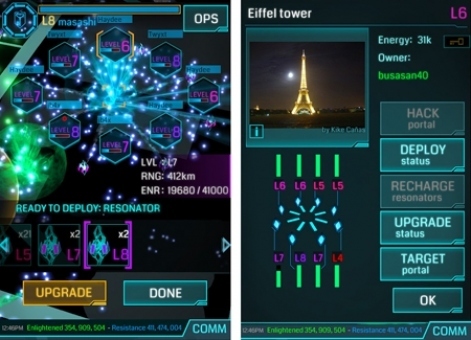 If you look at Niantic’s last augmented reality game, Ingress, you see a world where people try and dominate the global-digital landscape with whatever colour they have chosen, blue or green. They can “attack” and thus take over any region held by the opposing team provided they physically go to that area. However, beyond co-ordinated attacks or other such player-driven events, there is nothing driving people to be at a certain place at a certain time. In the case of Pokemon GO, all the Pokemon (at least those which have been released thus far) seem to be distributed more or less evenly in the countries where the game can played*, taking into account of course that certain types are only found in certain geographic conditions i.e. water-type Pokemon only found by bodies of water, etc. 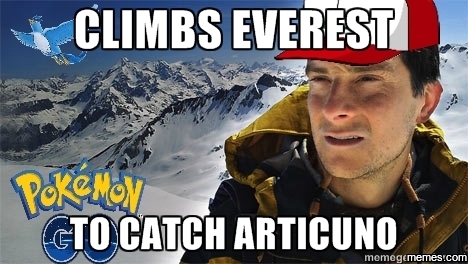 But as suggested by the above Bear Grylls meme, what’s to prevent Niantic from placing a Legendary (thus rare and prized) Pokemon like Articuno, somewhere inaccessible like Everest Base Camp? Nothing, save for the limitations of Google Maps. But let’s take it a step further. What if Niantic released a statement saying that a certain incredibly rare Pokemon would appear only on the lawn of the White House, and then only for twelve hours? People would MOB D.C.! Okay, this scenario is probably beyond a “step further” but I think you get my point. Even if Niantic did a 5-day Pokemon appearance event in a certain city, we could see mass-migrations of people. How serious am I about that? Well, according to Wikipedia, the app, after less than a week of being released, and then only officially in three countries, topped daily usage of Facebook, Tinder, Snapchat and Instagram. That means, it’s beating out people’s libidos and narcissism -no mean feat. 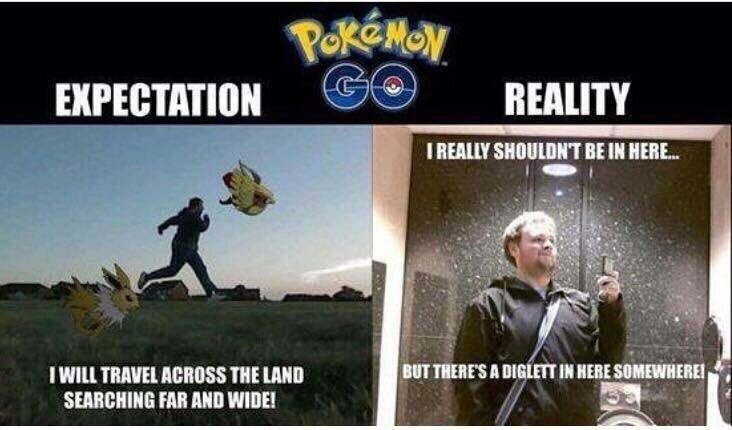 The effort put into capturing Pokemon may seem unbelievable to non-gamers, but is it that surprising? We take our games very seriously especially when there is a ranking structure and an opportunity to demonstrate our prowess and superiority. MMOs in recent years have seen this vulnerability exploited as people will stay indoors on a beautiful, sunny Saturday playing games online in order to take advantage of Double XP weekends. 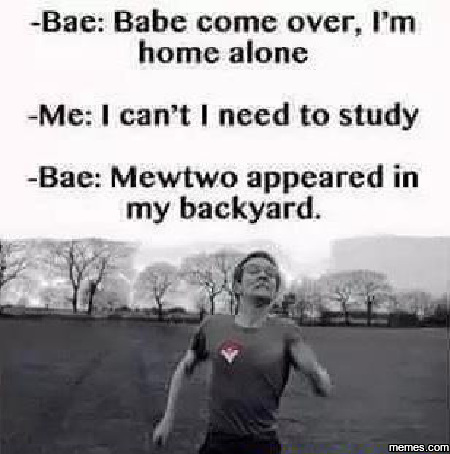 It’s about bragging rights and Pokemon GO differs only in one critical arena -your couch is the last place you wanna be. I’m fond of talking about the power of scarcity to motivate people and games truly exploit that power. Whether it’s reddit karma, Pokemon in your pokedex or having a Vex Mythoclast in Destiny, these are things that take work to accumulate/acquire. It’s hilarious because they are digital constructs -lines of code, which by their nature are infinite. But, limit their available quantity or occurrence, attach some status to possessing them and all of a sudden people will scramble. For now, this is all guess-work and hypothesizing on my part. But it seems foolish not to make the thought-experiment. Maybe this potential hasn’t occurred to Niantic/Nintendo or maybe they are just waiting for an opportune time to mobilize their willing army of Pokemon trainers against the regimes of the world. 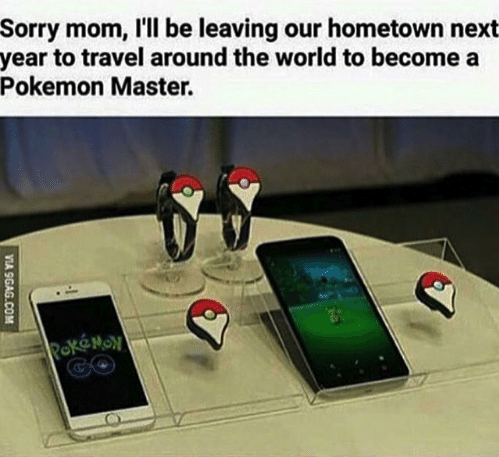 All I know is, if it turns out that there are to be different Pokemon in different parts of the world, I will be on the front lines becoming the greatest Pokemon master of them all. Never played but this is a great post. Write-Errantry · Papa never taught me to use no semicolon.